This has been a long time coming. More than a year after our overseas contemporaries had been able to wring the neck of McLaren’s first proper replacement for the model that began life as the MP4-12C, finally we’ve managed to get hold of the 720S and see if the praise heaped upon its futuristic body has been justified. There were some pointed questions raised at our most recent eCoty, about why this new McLaren wasn’t the recipient of the main gong – hell, why wasn’t it even in the running? And the simple fact of the matter is that we hadn’t been able to drive it ourselves, hard on this region’s roads or otherwise. To say our anticipation for this moment has been high would be a gross understatement. This car, if it’s as good as others have said it is, could be the biggest game changer of the past decade. Could we end up discovering that the Huracán Performante wasn’t the most worthy recipient our Supercar of the Year award, after all? At long last it’s time to find out. McLaren’s first attempt at a series production road car was the MP4-12C. It was pretty, rather than stunning to look at, and it came in for a lot of flak for not being exciting enough, despite having been designed and engineered to be as devastatingly fast as possible in all conditions. It did all that with almost sneering superiority but the detractors had a point: despite the speed and the handling prowess and the way it could take corners, it just didn’t feel or sound like something that had been built by humans. It was aloof and better than you, and it knew it. After a while the nomenclature changed to simply “12C” and the car was tweaked here and there, made more reliable and, truth be told, showed that McLaren really had been too early to market with it. But as a mission statement it had done its work and when the almighty P1 hybrid hypercar tyresmoked its way onto the scene, many of us thought (hoped) the 12C’s replacement would capture some of the unhinged insanity of that makes it so revered. Instead we got the 650S, which was faster than the 12C, even more refined and less pretty. The only thing it had inherited from the P1 was its front-end styling and it didn’t really look right. Any drive in a 650S can be an epic sortie. As a point-to-point mode of travel, it’s like being teleported between time zones when you start exploring its performance envelope but the distinct lack of personality that blighted the 12C continued here, with the whoosh of the turbos being about the noisiest thing about it. The limited edition 675LT, on the other hand, was much more like it – a snarling beast of a machine that brought genuine fun into the car’s repertoire and showed, if nothing else, some humanity in the way it went about its business. So with such a short heritage to tap into, the 720S shouldn’t be hampered by the weight of expectation. If it can just bring some of that P1 and 675LT magic to proceedings, combined with an entirely new design language, the chances are that this really will justify all the hype. The example I’m testing is painted in a hue one might term ‘glossy battleship grey’ with black wheels, the only hint of colour leaping out being the yellow brake calipers. But even in this nondescript combination the complexity of the 720’s physical design shines through. 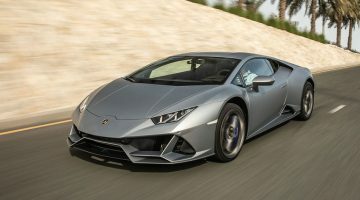 Its superformed aluminium body is a convoluted, captivating amalgam of aerodynamic superiority and can only truly be appreciated when looking at it in the here and now. Photographs really don’t do this thing justice. After the departure of Frank Stephenson, McLaren’s design director, his successor Robert Melville has been able to make his own mark and it’s a resounding success. It looks utterly brilliant. Similar to the Ferrari 812 Superfast we tested in the previous issue, you can track the flow of air with your eye, from nose to tail via an intricate series of ducts, scoops, channels, slices and curves to the science fiction rear end with its full width active spoiler/air brake. Those ‘eye socket’ headlamp surrounds channel air into the front radiators and look less weird once you see how they work, although I maintain that they’d benefit from being the same colour as the rest of the car. The cabin is sited quite far forward, adding to the visual drama and nodding to the fact that, behind it is where the real excitement lives. Its doors still open upwards and outwards, only this time they’re cut into the roof like a Ford GT40, which do allow for easier access and egress. And the interior has had a complete makeover, with much more tactile switchgear and a neater overall design. At the touch of a button the instrument binnacle spins on its axis and reveals a small strip of a display, for when you want to get serious on a circuit. Much praise has been directed at the cabin for helping make this a genuinely usable everyday supercar and I can instantly see why. There’s vision aplenty, the seats are comfortable and everything has been intelligently laid out. You can option the 720S with a glass roof and door tops, which must make a dramatic difference to the feeling of airiness, but this car hasn’t been so spec’d. Even then, this is a space you can instantly feel at one with. Which is comforting when you’re just getting to know a new model that can outrun and outbrake the P1. There is a new, three-position drive mode selector and a drift control function that allows you to determine how out of shape the rear end gets. And to top it all off McLaren has included a complex telemetry system that records video of the car using the 360-degree parking sensors. The results of your driving heroics can then be viewed on the central infotainment screen – something I haven’t yet decided is either incredibly cool or slightly naff. 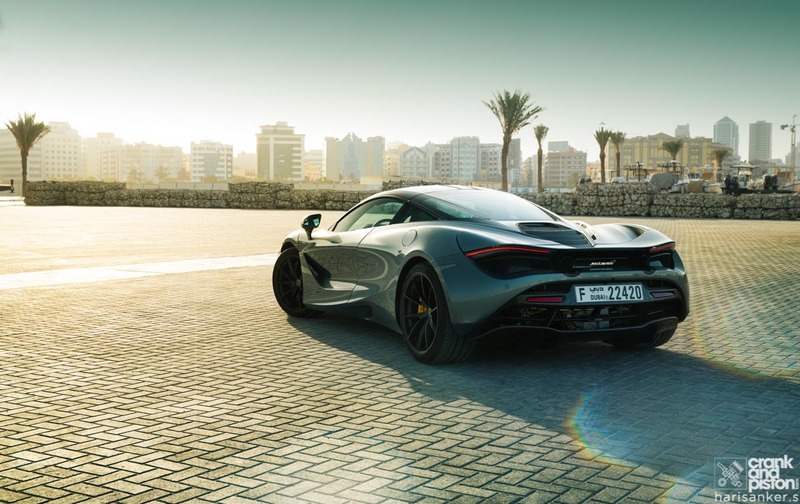 While McLaren claims this model is 90 per cent entirely new, its engine remains closely related to that of the 650S – a 90-degree, quad-cam, twin-turbo V8 that has grown from 3.8- to 4.0 litres and the peak 720hp comes in at 7,250rpm. Torque is up, to, from 500lb ft to 568, it’s quicker than its forebear to 100kph from rest (by a tenth of a second), quicker to 200kph by 0.6 seconds and its top speed has increased from 333kph to 341. The front suspension has been redesigned with new geometry and aluminium wishbones top and bottom, and the rear suspension has been similarly overhauled to improve high-speed stability. The entire structure weighs less than the 650S, too, to the tune of 18kg. Which might not sound much but it’s just one more slight improvement over the model it replaces. It’s just better in every regard and those small, sometimes seemingly insignificant changes, all combine to make it, as a whole, greater than the sum of its parts. This is a car that fizzes with excitement before you’ve even thumbed the starter. So much so that I’m just trying to manage expectations without putting too much pressure onto it, for fear that nothing could ever be as good as I’m expecting this piece of British engineering to be. Nevertheless, it’s time to stop banging on about its abilities on paper and get it onto the open road to see for myself. 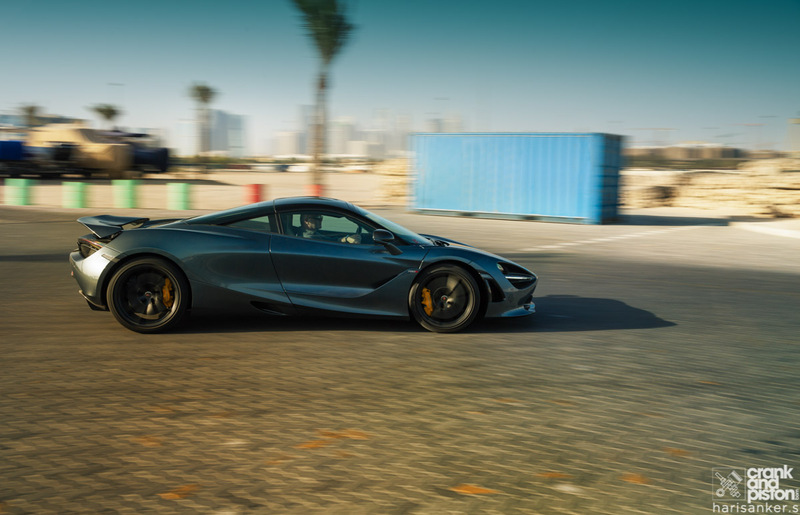 With so much visibility on offer, threading the 720S through city streets is child’s play, its point and squirt agility coming making itself useful in even the briefest accelerative experiments. Much like every McLaren I’ve ever driven, then, and initially I’m wondering how this thing differs from the model it replaces – a ridiculous notion to be pondering in urban traffic. Once the city is disappearing in the rear view mirror, as if it’s the ravine bridge you’ve just bungee jumped from, the full fury of this surgically precise weapon can begin to be explored and it’s never less than breathtaking. The delivery of power is practically indescribable. A seamless, almost supernatural muscularity that keeps piling on, the numbers of the TFT speedo becoming nothing more than a blur as it destroys everything in front of it. It’s so devastatingly fast and capable that I wonder aloud to myself why McLaren’s F1 team doesn’t just put its drivers in a couple of these instead. There is no nervousness or skittish behaviour. Not from the 720S, anyway. As for its driver, when I realise just how much speed I’m carrying as I turn the car’s nose in to the roundabouts that pepper my route, I can’t help but panic for a split second. But it’s always a fear that’s misplaced for this is an ultimately forgiving supercar that flatters its driver if there’s the occasional over exuberance, yet rewards in spades if its pilot’s inputs are in tune with its own dynamism. Its steering is sublime, too. After a couple of those roundabouts, taken at indecent speeds, or a corner – any corner – you understand just how much effort has been put into making this the best car of its kind. It responds to its driver’s inputs as though using telepathy, hardwired into the cerebral cortex, reacting to every nuanced action. And then, as soon as the road straightens again, the power is back on and time stands still, the sand on the road whipped up into something resembling the tail of an asteroid. 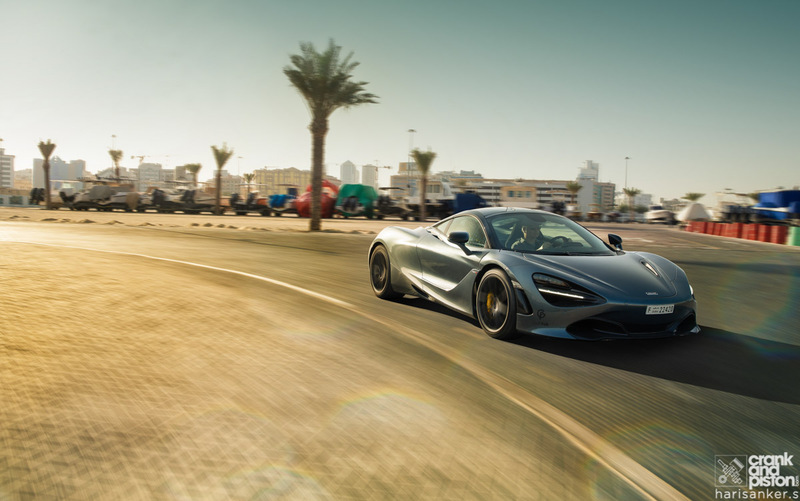 There’s not a chance in hell of ever reaching the 720S’s maximum speed on a public road, or track for that matter, but that’s no shortcoming on its part. It’s just its stratospheric limits being tantalisingly out of reach but you’re never not aware that they’re there. To get the most out of its chassis, you need to bypass the normal setting and head straight for Sport or Race, which firm things up without making the car unwieldy. In normal mode, it’s just that bit too soft for really hard cornering and braking but in the others is where you can properly experience its inherent enormous levels of grip and flight footedness. If you’ve enough space to intentionally invoke oversteer, or you simply overcook things and are taken by surprise, this is a car that’s simple to bring back into line should you wish. There’s a playfulness and dexterity at play that the 650S was missing and it’s even more apparent here than it was in the epic 675LT. The brake pedal does feel slightly unresponsive when feathering it, requiring an injudicious shove at times, which can upset what you think are some fabulously smooth manoeuvres. And in this regard it feels very Ferrari-like – digital, either on or off when sometimes you want more progressive retardation. Perhaps on a circuit the stoppers would come into their own – hopefully we’ll find out soon enough. There is something tangible missing, though, which is gnawing away at my mind as I get ever more confident in this car’s incredible, stellar capabilities. And that is, it still doesn’t feel like it was designed by imperfect human beings. There’s very little sonic exhibitionism, the turbos’ whooshing failing to raise even a smile when a car such as this really needs to be belting out an operatic karaoke at any given opportunity. There’s not even a hint, nay frisson, of danger when taking bends at stupid speeds. There’s never a doubt that this car will get you out of trouble unless you’ve been insanely stupid, its massive performance seemingly accessible to all comers no matter how inexperienced. And while it might have become fashionable to bash McLaren for its sterility, that doesn’t make such criticism invalid. This is not fake news. Rather it’s a lamentation of sorts, a voicing of disappointment that, after the raucous 675LT, there’s been something of a missed opportunity here. Yes, it will undoubtedly obliterate practically anything else on road or track but a Ferrari 488 GTB will still win your heart over it. As for the Huracán Performante, its crown remains perfectly safe. That car makes you laugh out loud, goads you to delve deep into its deranged psyche, and not once does it fail to disappoint. It has humanity by the truckload and, despite its abundance of clever tech and carbonfibre construction, it never feels distant or aloof. On the contrary, it makes its occupants and anyone who’s fortunate enough to see and hear it being driven in anger, glad to have functioning eyes and ears. Yes, there’s a case to be made for McLaren’s 720S being the finest, most capable and complete supercar ever to turn a wheel. But when it comes to pulse quickening, life-affirming motoring, it could do with a shot of something strong and Italian. His son calls him the Grumpy Badger, he displays zero tolerance for idiocy and loves a good rant. Kevin Hackett started writing about cars two decades ago and has been based in Dubai since 2011. As a writer he has rarely strayed from controversy, and as a driver he has rarely managed to control a drift. He yearns to own a Ferrari 308GTB but has had to settle for a Triumph that's almost as old as he is. 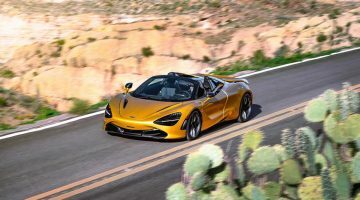 McLaren 720S Spider review – a drop-top supercar without compromise? 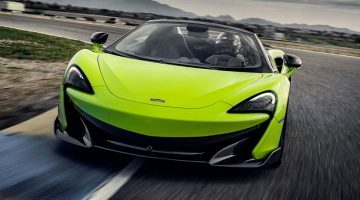 McLaren 600LT Spider review – is it thrilling without a roof?